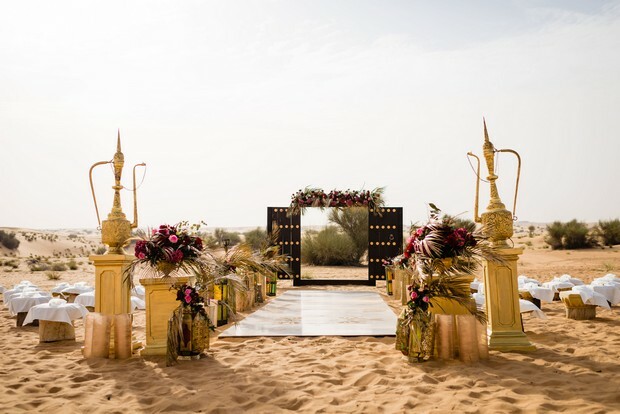 As always the wedding invite sets the tone and gives guests an idea of what to expect so get your guests ready for your beachy Big Day with your wedding invites. 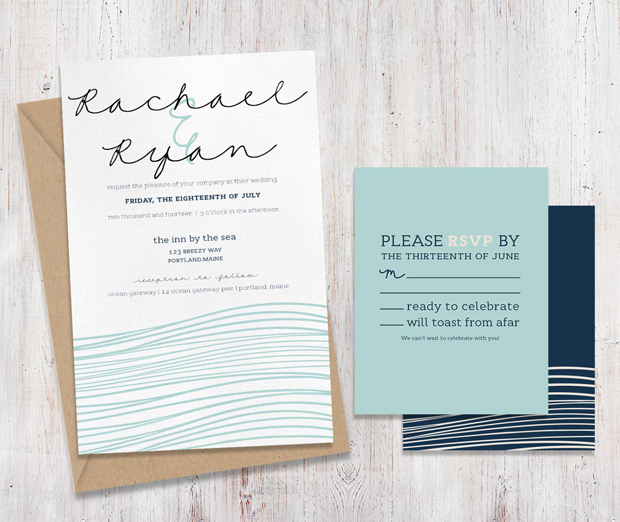 There are lots of gorgeous stationery styles out there but we love this simple sea-inspired wedding invite. Shell and starfish motifs and florals will also work a treat. 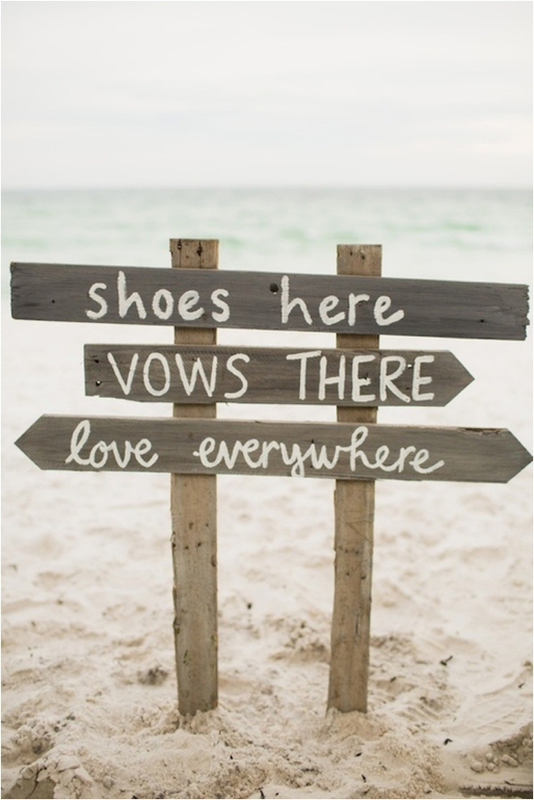 Create the perfect laid back beachy vibe for your ceremony with an adorable wedding sign like this one! 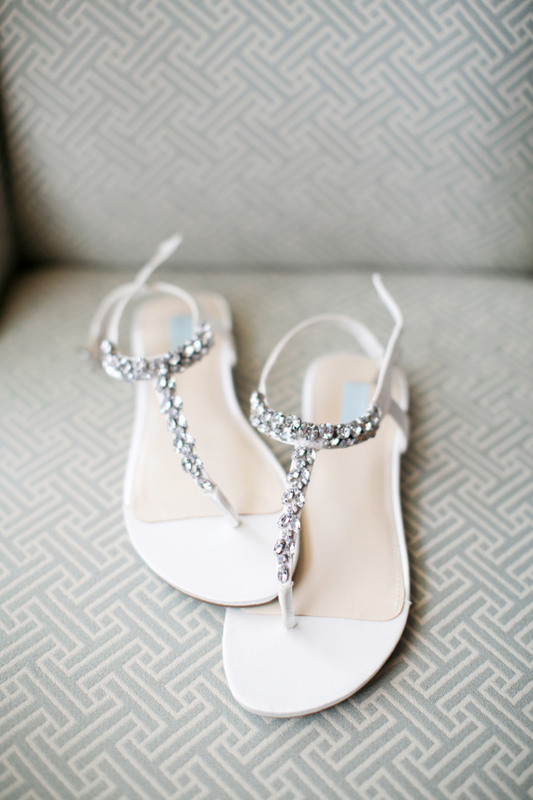 Not only is it ridiculously cute, it will helps guests get in to the swing of things and they’ll know where to pop their sandals. Soft chiffons and floaty Grecian styles are perfect for a beach wedding like this stunning Anna Campbell wedding gown. In terms of your hair, opt for loose waves if you’re after a low key boho vibe or if you’re going for an updo, make sure to put your hair up a little higher (or wear extra pins) so that it stays put for the day. Have fun experimenting with different hair accessories like white shells and fresh flowers. 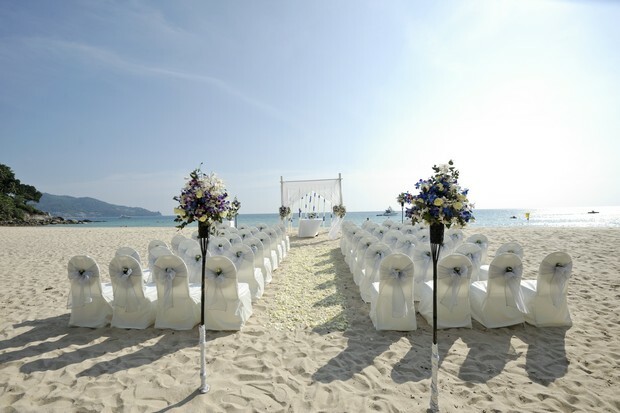 Saying ‘I do’ in the sand is fun, but you don’t want to be uncomfortable. Metallic geometric sandals, simple beach ready flip-flops or embellished flats would all go well with an ethereal chiffon gown (and will be comfy too) or you could stand out in bright and colourful shoes. 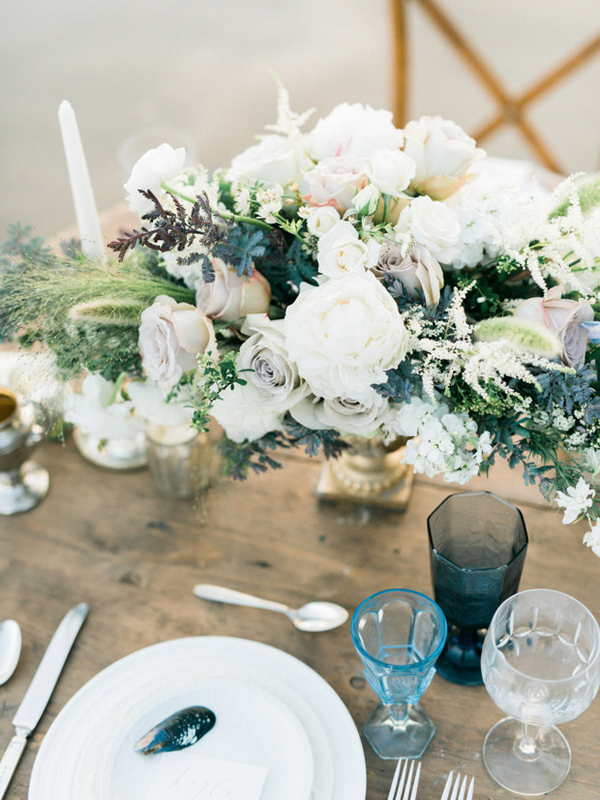 Use earthy materials and fabrics for that idyllic seaside vibe. A scattering of seashells, corals, starfish and other nautical elements can incorporate the seaside theme without overdoing things. 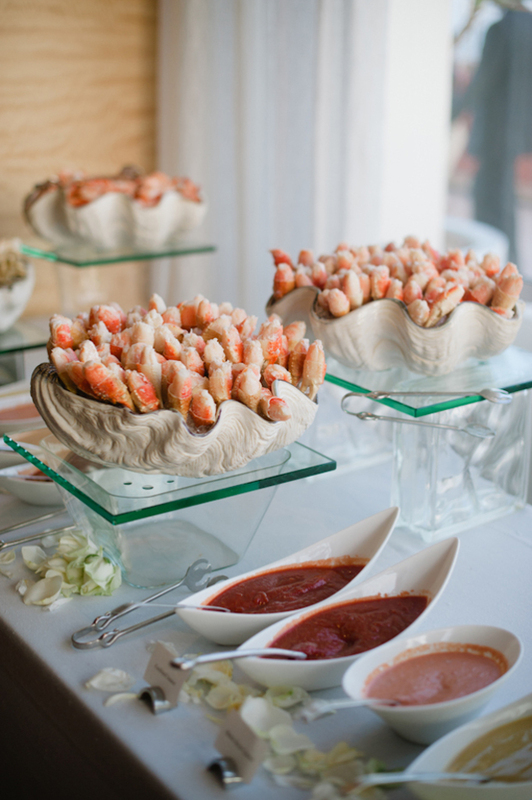 Seafood is a perfect match for a beach wedding and will go down a treat! You can start with some colourful fruit mocktails or serve fresh tropical fruit juices like Pineapple, mango etc. Appetizers could include shrimp, crab cakes and fresh tropical fruits. Soups, clam chowder, gumbo may be offered as an alternative to a salad. Grilled or broiled fish or chicken served with wild rice or roasted vegetables make amazing entrées. Finally, satisfy your guests’ sweet tooth with decadent beach desserts like key lime or citrus tart, coconut cream pie or pineapple upside down cake. 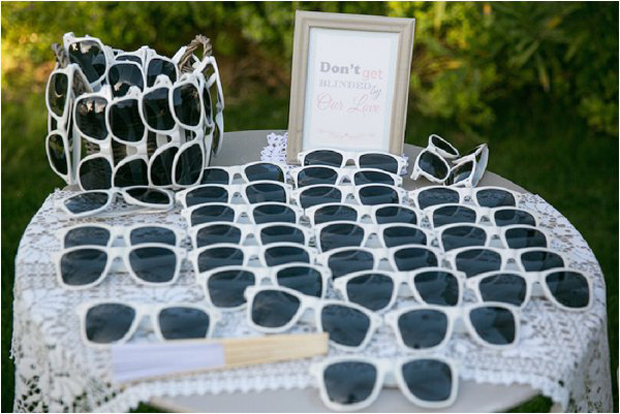 For wedding favours, if you want to keep with your beach theme, you have lots of cute choices from sea shells, mini lanterns, and sea shell shaped salt and pepper shakers to sailboat candles, beach towels, sunglasses, flip-flops or even fruit treats.